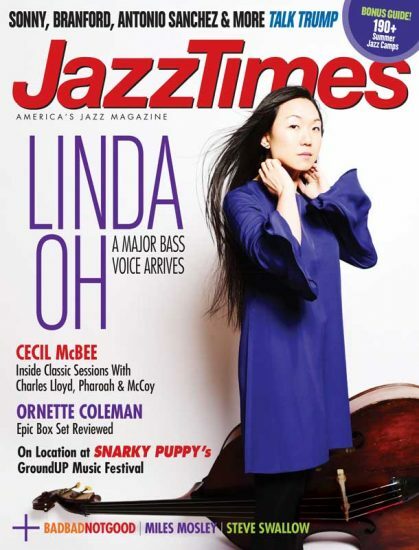 The April 2017 issue features our interview with bassist extraordinaire Linda May Han Oh, Cecil McBee on his classic recordings with Charles Lloyd, Pharoah Sanders and McCoy Tyner and a spectrum of artists talking Trump. Other highlights: BBNG from the beginning; review of a new epic Ornette Coleman box set; Bobby Vega and Steve Swallow on plectrum-powered electric bass; Q&A with bassist and composer Miles Mosley and much more. 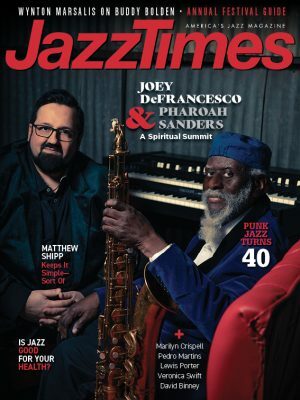 Plus, a special bonus guide that covers over 190 summer jazz camps. Purchase this single issue in print and digital, or subscribe.